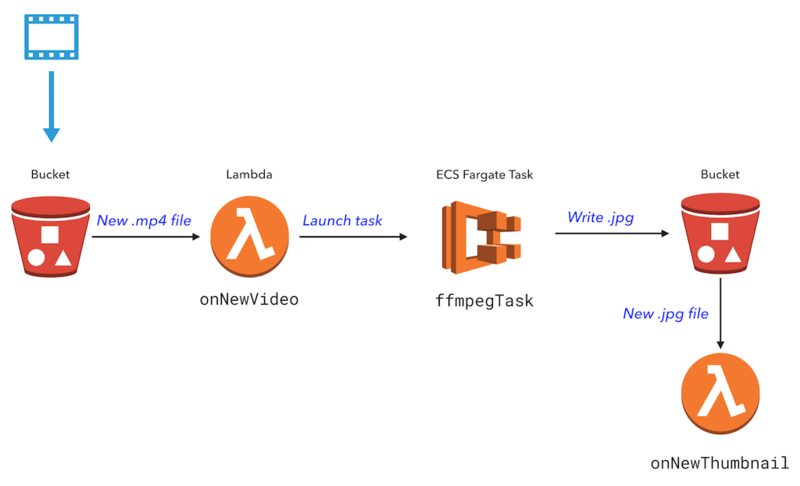 Containers are a great way to deploy applications to the cloud, especially with new execution models like AWS Fargate. Pulumi makes it easy to deploy production Docker containers, handling details such as creating a container registry instance in ECR, creating task definitions in ECS, and configuring a load balancer. 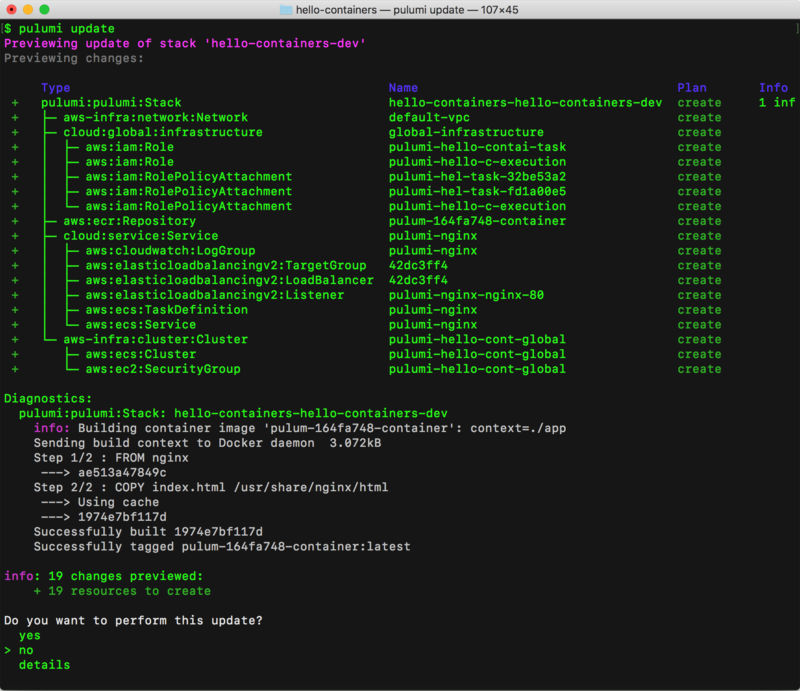 With Pulumi, deploying a container to production is almost as easy as running it locally!